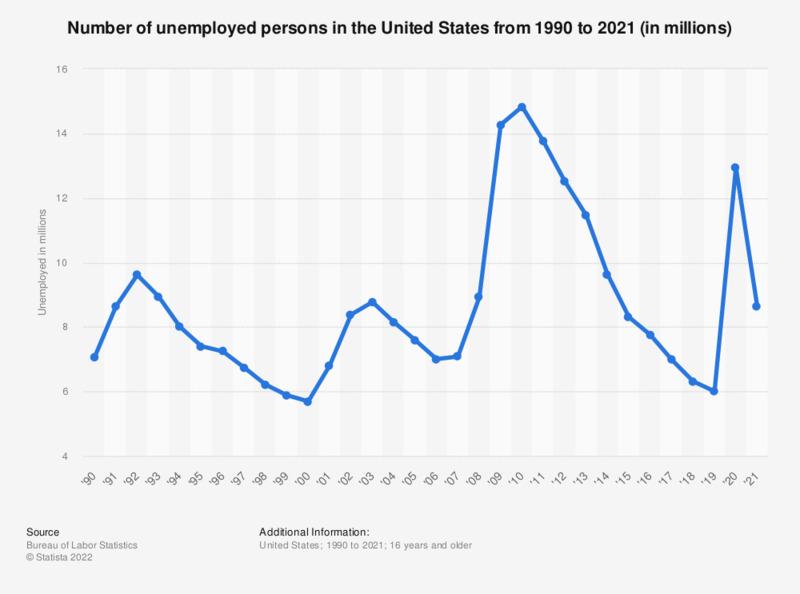 This statistic shows the unemployment level in the United States from 1990 to 2018. National unemployment level decreased to an average of 6.31 million people looking for work in 2018. See the United States unemployment rate and the monthly unemployment rate for further information.